On Saturday April 2nd I had the profound pleasure of sitting down and interviewing one of my idols, Mr. Peter Murphy. Aside from this experience being forever etched into my own memory, the event was objectively historic for a number of important reasons. 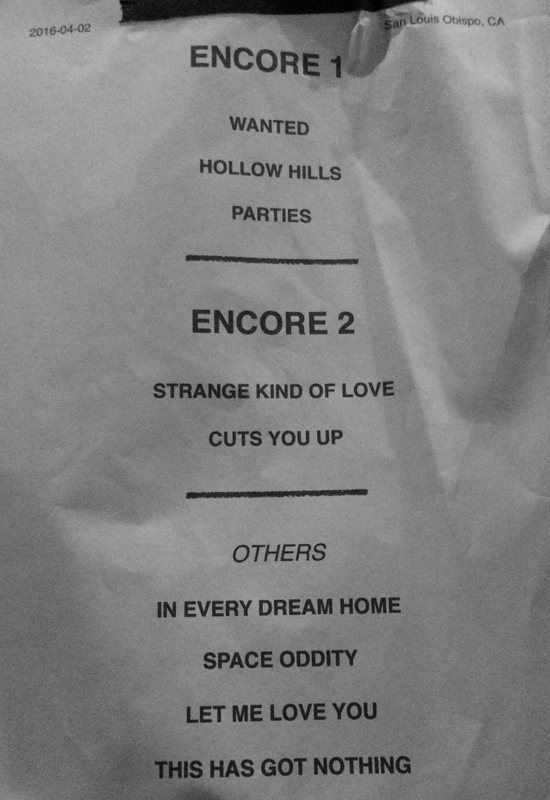 The first being that this was the second performance of his ambitious 31 stop whirlwind “Stripped” tour. As such, we had the opportunity to talk in great detail about his approach in making this tour a unique experience for fans who might not otherwise be accustomed to seeing him take a more minimalist, intimate approach to performing. Another memorable component of this night was Peter’s playing at the historic Fremont Theatre in downtown San Luis Obispo. Opened in 1942, on the eve of the U.S.’s entry into World War 2, the Fremont is one of the city’s most well-known landmarks, with its neon marque and art deco stylings permeating the walls and ceilings. The Fremont Theatre has recently been converted into a concert venue, from its prior exclusive usage as a movie house. In fact, Peter’s performance is only the second to take place on the venue’s newly constructed and expanded stage (I had a chance to talk to the local promotors from Good Medicine before the show and it’s clear that they’re investing time and resources to expand it into the premier concert venue on the California Central Coast. However, the last (and most relevant component of the interview in the hearts and minds of music fans everywhere) was that this was the first “sit down” video interview Peter has done in nearly half a decade, as well as the most recent in which he discussed the passing of David Bowie. I found Peter to be very approachable and generous in sharing his personal feelings and insights about a wide variety of topics. He was just as kind, intelligent and insightful as I had always thought (and hoped) he would be, with still enough sardonic and witty humor peppered into the conversation to retain his image as a man who also appreciates the darker side of life. 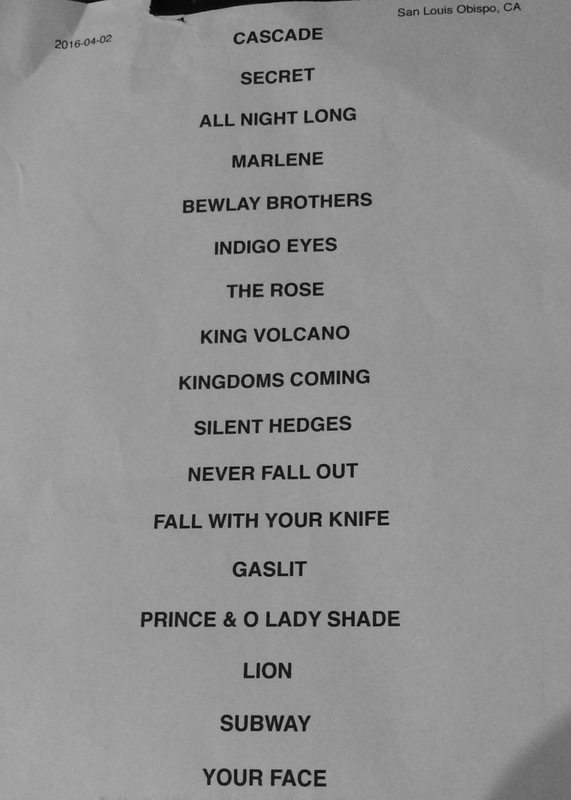 In getting a glimpse of the setlist for the performance (that included some encore tracks that were not performed that night but will most assuredly be making an appearance in upcoming shows), fans of Peter Murphy have a great number of things to look forward to on this tour. As someone who has witnessed him perform in different venues and settings in the past, the evening’s performance was probably my most favorite. Many of the shows on this tour have already sold out in advance, so I highly recommend that fans not miss this historic opportunity to see Peter perform in such a wonderfully intimate, “bare bones” style. It may be an opportunity that comes only once. For all the latest on Peter’s current tour and future projects, check out www.petermurphy.info. Also, thanks to Joady, Scott, Isha, Monte, the staff at the Fremont Theatre and all the other people that helped make this experience possible. We are forever grateful. This was a very thought-provoking interview ,Jason. I thoroughly enjoyed it, and am in the midst of writing my own feature to promote his show in Phoenix AZ next month. Very understated interview. Appreciated it a lot. You don’t step on the subject’s toes but are clearly very well-prepared. Great job! About to see the concert tonight in the DC suburbs.